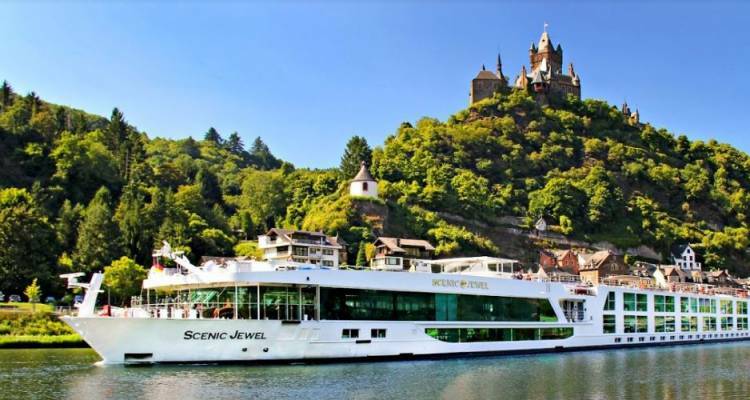 A luxury river cruise on the Scenic Jade ship will not only provide travellers with views of unparalleled vistas, but also with astounding accommodations, delightful dining menus and exquisite services provided by warm and friendly crew members. Passengers can admire the spectacular river banks of Danube either from the sun deck or from the panorama deck, all while enjoying a cocktail or a healthy snack from the ship’s nearby cafe. Royal Balcony Suite RA, R - 29m2/315 sq. ft.
Royal Panorama Suite RS - 30m2/325 sq. ft. Junior Balcony Suite RJ, BJ - 23m2/250 sq. ft.
Deluxe Balcony Suite PD, BD - 21m2/225 sq. ft.
Balcony Suite A,PA,PP,C,BA,BB- 19m2/205 sq. ft.
Standard Suite E, D - 15m2160 sq. ft.